Every day there is more confirmation that the casino is an exceedingly dangerous place and that exposure to the stock, bond and related markets is to be avoided at all hazards. In essence the whole shebang is based on institutionalized lying, meaning that pronouncements of central bankers, Wall Street brokers and big company executives are a tissue of misdirection, obfuscation and outright deceit. And they are self-reinforcing, too. As we indicated in our post over the weekend (The Keynesian House Of Denial), it’s all definitional by the lights of today’s central bankers and their Wall Street camp followers. Since the former are busy “accommodating”, massaging and “stimulating” economies all around the world—- bad things like recessions and stock market busts just can’t happen. At today’s market close of 2094, therefore, what’s not to like about valuation levels and PEs? After all, the full-year hockey stick points to $119 per share in 2016 and $136 in 2017. The implied PE multiples are a modest 17.3X and 15.3X, respectively. Except they aren’t even remotely so. S&P 500 earnings on a GAAP basis came in at $86.47 for the LTM period just ended, and the current quarter is already conceded to be down by upwards of 10%. In fact, the stock market is now valued at 24.2X—in the nosebleed section of history—-at a time when the global growth cycle is reversing, the US business expansion at 82 months is long in the tooth and actual GAAP earnings that you don’t go to jail for reporting are down 18.5% from the September 2014 LTM peak, and heading lower. Over the weekend the money-printing lunatic who heads the ECB, Mario Draghi, pronounced that there are no bubbles in sight on his watch—-notwithstanding the obvious fact that he has turned the European bond market into a monumental bubble. Likewise, before the markets opened this morning we had two fine examples of the same delusional prevarication. Both PepsiCo and Morgan Stanley reported disastrous result for Q1, but in utterly shameless fashion these were spun by company spokesmen and reported by the media as “beats”. Naturally this caused their stock prices to shoot into the green, and in the case of Pepsi to nearly an all-time high. As to Morgan Stanley, it’s hard to imagine how its results could have been much worse. Non-interest revenues were down 26% over prior year, including drops of 18%and 43% for its core business of investment banking and trading, respectively. Overall, total revenues plunged by 21% versus prior year, and net income dropped by a staggering 54%. That’s right. Compared to net income of $2.4 billion last year, its bottom line for Q1 came in at just $1.1 billion, while return on common equity plummeted from 14.1% to just 6.2%. In an honest free market, Morgan Stanley would have been sent deep into the penalty box, but not in today’s casino. 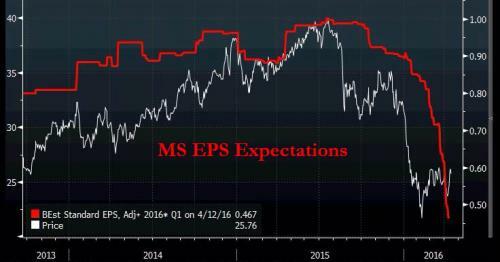 It was actually up because reported income of 55 centsper share “beat” the consensus expectation of 46 cents. But then again, the “consensus” was for earnings of $1.00 per shareas recently as last October. In the interim, there was a frenetic lowering of estimates that did not stop—-as is evident in the red line below—–until the very eve of its Q1 release. Pretending that this is a “beat” is not only an insult to 9th grade intelligence, but actually emblematic of the institutional lying that has become built into the fabric of reporting and communications in the casino. Indeed, the whole “beat” syndrome has now reached a ludicrous extreme. The only rational meaning for “beat” would be to describe results that actually improved upon previous performance and came as a genuine upside surprise to investors. By when results have been blatantly manipulated lower by the trained seals who pose as equity analysts, the few pennies per share gain over the latest pre-release “consensus” is not a beat; its a scam! So is the “earnings ex-items” gambit that logically has no other purpose than to make PE multiples look lower and over-priced shares more attractive than the actually are. In that regard, the claim that companies are attempting to remove “noise” owing to one-time charges from their reports doesn’t cut it. For one thing, one-timers go both ways, as in the case of capital gains from the sale of an asset. Beyond that, corporate write-offs of soured goodwill from deals gone bad, charges for plant and store closures owing to the termination of loss-making operations and expenses for severance and stock options—-all represents the consumption of real corporate resources and value. If CFOs really wanted to be helpful in “normalizing” their lumpy quarterly GAAP numbers there is a far better way to do it. To wit, they could pool their non-recurring charges and present “adjusted” numbers based on smoothing or averaging these recurrent “non-recurring” losses over a mutli-quarter period. Or they could simple amortize the write-off pool into quarterly earnings over some reasonable span such as four or eight quarters. But that would be a wholly different kettle of fish. 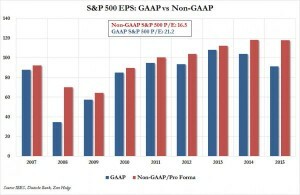 Under the current deceptive procedure, adjusted or ex-items earnings are always higher—-and frequently much higher—–than GAAP profits. 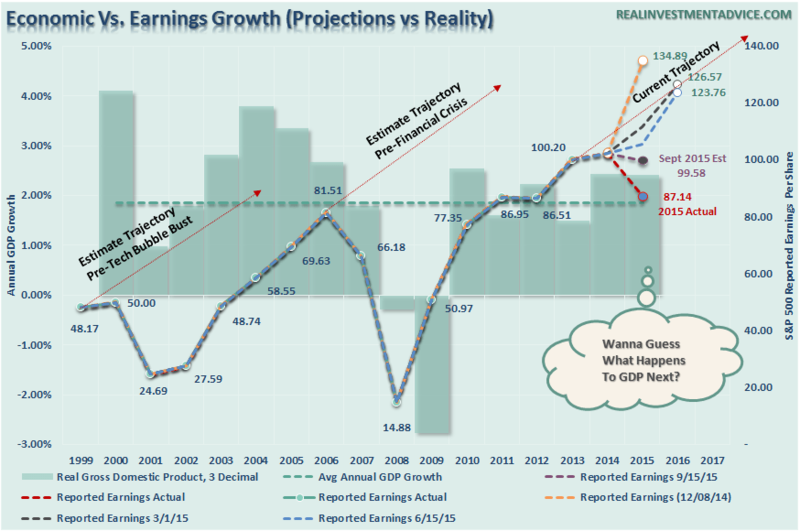 In fact, over 2007-2015, adjusted S&P 500 earnings were over-stated by more than $1.1 trillion! We harp on this topic because PepsiCo’s approach this morning was a naked exercise in just the opposite. They had the nerve to present a tissue of lies as to their results and then put it in the form of the cartoon below. To wit, PEP’s net profit plunged from $1.2 billion last year to $931 million or by 24%. But via the magic of share buybacks and ex-items earnings manipulation, it turned reported earnings per share of 64 centscompared to last year’s 81 cents into 89 cents per share of profit, thereby handily beating the consensus expectation by eight pennies. The transformation of “down” into “up” is actually breathtaking. A sales decline of 3% was turned into a gain of 3.5%; an operating profit drop of 10% was adjusted to a gain of 12%; and the 24% plunge in net income was twisted into a 11% gain on a ex-items per share basis. Here’s the thing. Why does Uncle Sam spend billions per year trying to enforce GAAP accounting, when the denizens of the casino are more than happy with whatever results can be shoe-horned into an ex-items cartoon? Meanwhile, here’s what actually happened. 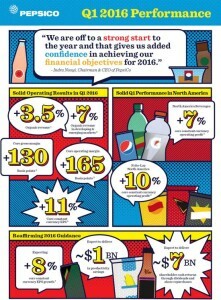 With Q1 results, PepsiCo’s LTM net income came in at $5.16 billion. That’s the lowest rate since June 2009. Yes, PEP’s market cap has doubled from $75 billion to $150 billion in the interim, but why wouldn’t you pay 29Xfor a company in the no growth soft drink and snacks business? 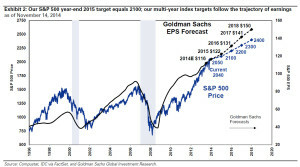 At length, all of these scams will give way to the reality of a gathering global recession and a sustained slump in earnings. That is, the S&P 500 is heading through 1300 from above long before it ever again penetrates from below its old May 2015 high of 2130——even as the robo-machines play tag with the chart points. But as indicated above, reported LTM profits as of year-end 2015 stood at just $86.47per S&P 500 share. That particular number is a flat-out bull killer. At a plausible PE multiple of 15X, it does indeed imply 1300 on the S&P 500 index. It also means that the robo-machines and hedge fund gamblers have painted a scarlet numeral of 24.2X on the casino’s front entrance. But it comes at a time when the so-called historical average PE ratios are way too high for present realities. That is, in a world sliding into a prolonged deflationary decline, capitalization rates should be falling into the sub-basement of history, not soaring into it’s nosebleed section. Yes, as per today’s blatant legerdemain, the sell side stock peddlers insist these GAAP profits are to be ignored because they are chock-a-block with non-recurring items. Well, yes they are. 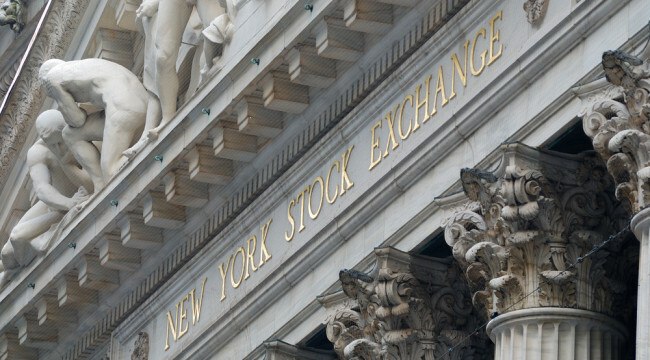 As an excellent recent Wall Street Journal investigation showed, the Wall Street version of ex-items earnings came in for 2015 at$1.040 trillion for the S&P 500. 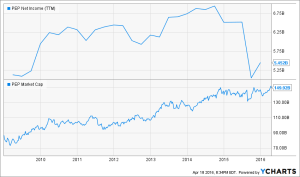 But that was 32% higher than actual GAAP earnings of $787 billion! Supposedly, the $253 billiondifference indicated for 2015 in the chart above didn’t amount to anything special when it comes to valuing stocks. The latter always and everywhere trend from the lower left to the upper right of the charts. And that’s because, apparently, by the lights of Wall Street there can’t be another recession. Central banks are on the job and have ruled out the possibility by definition. Thus, S&P 500 aggregate net income on an ex-items basis for 2007 was$730 billion—so the sell side pitchmen had no problem insisting that the stock market was “reasonably” priced. During 2007 the S&P’s average capitalization was about $13 trillion, implying an 18X PE multiple. In fact, however, actual GAAP earnings that year were only $587 billion, meaning that the Wall Street ex-items number was 24% higher than the level of profits filed with the SEC. 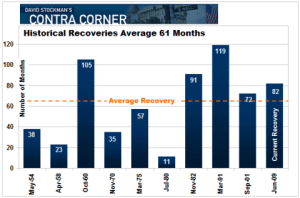 Like now, the pitchmen said ignore the$144billion of charges and expenses that were deemed to be non-recurring; nor did they even remotely recognize the real market multiple on a GAAP basis was 22X and that this was extremely expensive by any historic standard—especially at the top of the business cycle. Expressed in aggregate terms, the latter means that S&P profits plunged to$132 billionduring 2008 after companies took a staggering $304 billion in write-downs for assets which were dramatically overvalued and business operations which had become hopelessly unprofitable. In short, during those two years alone—when the business and financial cycle was heading sharply southward—–the S&P 500 companies took nearly $450 billion in charges and losses that the Wall Street stock peddlers said to ignore. That amounted to full 37% of purported ex-items earnings for 2007-2008 combined. For instance, during 2015 one part of the gap was accounted for by the fact that the energy sector of the S&P 500 reported actual losses of $45 billion collectively but on an ex-items basis claimed profits of $48 billion. Did that$93billion difference amount to a financial nothing? The same is true with the other sectors analyzed by the WSJ investigation. 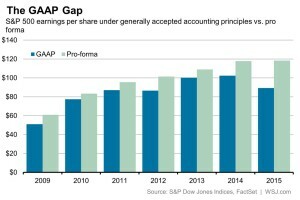 Materials companies reported $13 billion in GAAP earnings compared with $30 billion in ex-items profits. And health-care companies earned $104 billion under GAAP versus $157 billion as imagined by Wall Street analysts. Yet once gain, the $70 billiondifference in these two sectors wasn’t chump change, nor was it invisible fairy dust. Below is the eight year trend in core consumer inflation in the eurozone. It is up at a 2.1% rate during the period, and 1.0% even during the last 12 months of deflation mongering by Draghi and his henchman. You could well and truly ask, therefore, as to why the mass of Europeans are not better off with 1% as opposed to 2% inflation. The answer that 2% is better-indeed imperative—- is known only to a tiny cadre of central bankers and their acolytes. But they are not telling, just asserting. For crying out loud. Italy’s government is paralyzed, meaning that its fiscal vital signs just keep deteriorating. The spending share of GDP is off the deep end at 51.1% and the debt burden just keeps on rising. Here’s the thing. Italy is fast turning into a socialist old age colony with a birth rate of only 1.3. On that path, the last Italian will disappear in the next century. But an economy which has been shrinking since 2007 will tumble into national bankruptcy long before. They will surely christen it the Draghi Bubble—–a fit of insanity every bit as calamitous as that of John Law, the French Revolution and 1929.